In Hong Kong, there are over 200 public rental housing (PRH) estates. 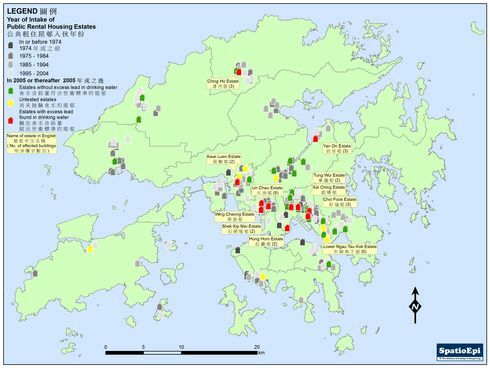 The map shows the distribution of these estates and the year of intake of residents, the patterns of which reflect the development history of public housing in different areas of Hong Kong. In response to the excess lead content found in drinking water in some recently established PRH estates in early July 2015, Housing Department has been cooperating with other governmental departments to conduct testing on water samples taken from PRH estates completed in 2005 or thereafter. 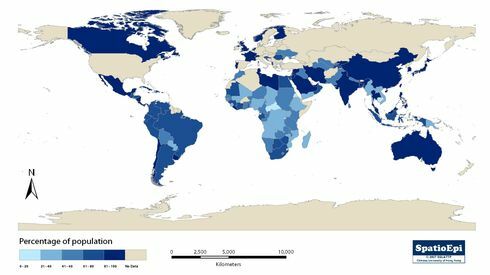 As of 27 August 2015, water samples collected from a total of 11 PRH estates were found to contain lead beyond World Health Organization limit, defined as 10 micrograms per litre of drinking water. 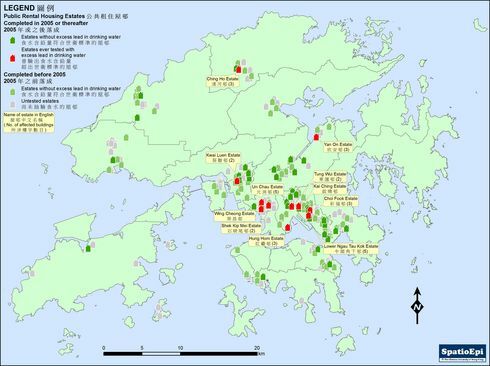 As depicted in the map, most of these affected estates were located in Sham Shui Po and Kowloon East.